Ranker, a site for listing and ranking anything and everything, announced Monday that it has raised a $1.3 million Series A round of funding led by Tim Draper at Draper Associates. Draper is joined by Rincon Venture Partners, Newport Coast Investments, Factual founder Gil Elbaz, Pasadena Angels and previous investor Siemer Venture Capital. 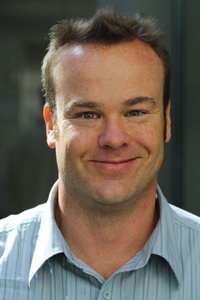 Previously, Ranker had secured nearly $2 million in seed funding in two separate rounds, each a year apart, from CEO and founder Clark Benson, Siemer Venture Capital, Tech Coast Angels and several unnamed angel investors. Besides just having regular lists that any user can make for him or herself, there are also crowd-ranked lists, like The Greatest Guitarists Of All Time, where everyone’s votes affects the ranking. The previous time I wrote about Ranker, last November, the service had just racked up a million users. It took the site a little over a year to reach that size from its August 2009 launch. Now, Ranker reports that it sees over 1.5 million monthly uniques and serves over 25 million monthly ad impressions. While advertising is currently Ranker’s primary source of revenue, the company also makes money through e-commerce leads and has plans to make even more by giving third parties access to the site platform. That’s where some of this new funding is going toward, besides data set development work. The site has also been going through a bit of a redesign and some small tweaks to better integrate social login. Ranker is a consumer web platform and interest graph play based on the easily understood and highly engaging concept of rankings and voting. Ranker harnesses the “wisdom of crowds” to provide credible answers to questions like “what are the best <blank>?”. Visitors can vote on or rank topics with various levels of engagement, and Ranker’s technology aggregates this interest graph data into CrowdRankings such as The Best TV Shows. Ranker utilizes semantic, linked datasets to power this “connected listmaking” for users across all topics, and has partnered with Freebase, Factual, and other sources of “big data” for this. 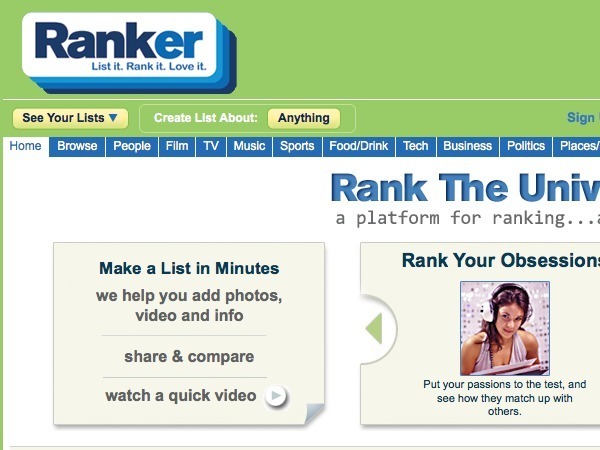 The ranker.com site launched to the public August 2009 and has seen solid traffic and user growth every month. In the future Ranker will be porting its ranking technology to other sites and platforms. As of August 2011, Ranker is accumulating 3 million unique visitors and 10 million pageviews a month. Ranker’s platform is not confined to a specific vertical and is flexible enough to be used for blogging, shopping, polls, publishing, social networking, even organization.